North Korea’s nationwide 3G cellular network could miss an end-of-year target to have a million subscribers despite two successive quarters of record subscriber growth. 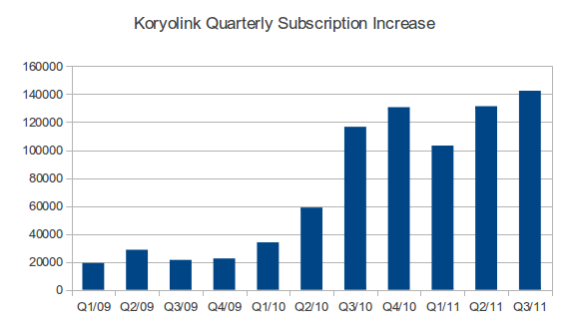 Koryolink added 142,000 subscriptions in the third quarter, beating the 131,000 subscriptions added in the previous three months, to end September with 809,000 users. That leaves it 191,000 subscribers short of hitting a million users — a 2011 target that had been talked about at the beginning of the year. 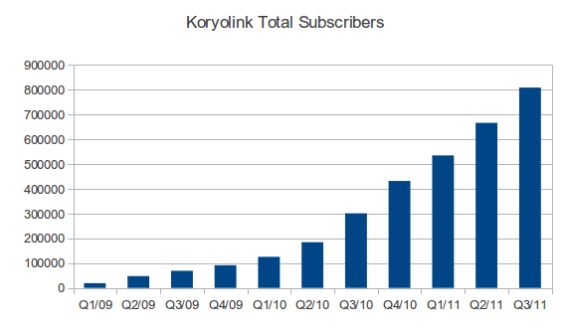 Based on current subscriber growth it appears that Koryolink will come close to the million mark but — barring a surge of new sign-ups in the current quarter — will come in just short of a million users. To be fair to Orascom Telecom, the Egyptian company that holds a majority 75 percent stake in the company, the million subscriber target was never publicly set by the company. It was mentioned in an interview conducted earlier this year by Chinese TV in Pyongyang with an unnamed local official. 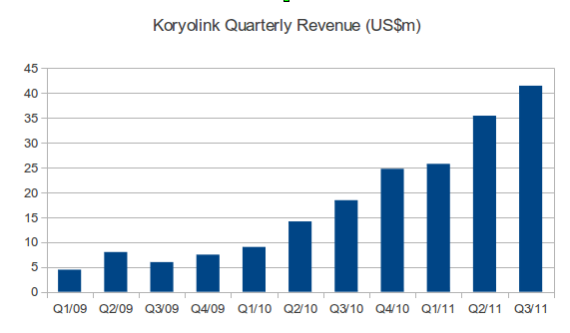 And even if Koryolink falls short the company still appears to be achieving impressive growth of the service, which is the first cellular service to become broadly available in North Korea. During the third quarter the company recorded US$41 million in revenue, which matches its total revenue through the first nine months of 2010. 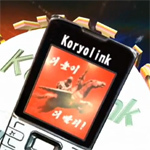 Koryolink reports revenue numbers in US dollars converted at an exchange rate of 135 North Korean won to US1. Prepaid cards are denominated in euros. Details of sales in euros or North Korean won and how they break down are not reported. 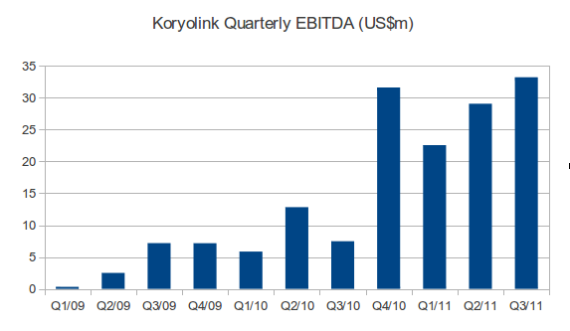 Orascom doesn’t publish profit or loss figures for Koryolink. It said EBITDA (earnings before income tax, deductions and amortization) increased to US$33.2 million, which is a record. The network expanded to cover an additional 12 small cities during the quarter. At the end of September it consisted of 453 base stations covering Pyongyang, 14 major cities, 86 smaller cities, and 22 highways. That maps to 14 percent of the landmass of North Korea but encompasses 94 percent of the population, according to Orascom.